2 Bedroom Upper Floor Maisonette For Sale in Nantwich for Offers in the region of £95,000. This property's price has dropped from £120,000 to Offers in the region of £95,000. Retirement haven!! 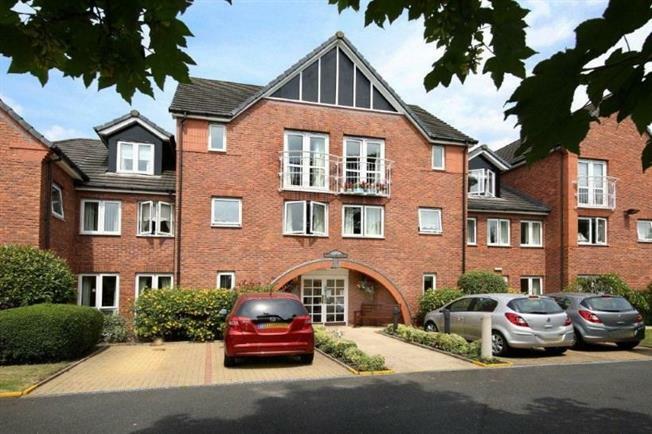 Looking for a lovely cosy apartment within a safe development built by McCarthy & Stone, where you can enjoy your privacy or join in with the friendly and social residents and activities? Look no further, this is it!! The apartment has a generous hallway with a storage cupboard. There is lounge /dining room with French doors to the fitted kitchen and Juliette balcony over looking the communal gardens. A further two double bedrooms, one of which has fitted mirrored wardrobes, plus a bathroom with shower over the bath. Economical electric heating, fully uPvc double glazing throughout. This is a lovely place to feel cosy and safe and well looked after.